Cool Tech Stuff: These ships were built in the mid-1980s, but they’ve been outfitted for the 21st century. Along with solid Wi-Fi throughout, jet skis and MP3 players are available for passenger use. Late-Night Departures from Key Ports: Instead of leaving port around cocktail hour just when things begin to get interesting the ships will stay late or even overnight in places such as St. Barts to allow passengers a night of carousing on terra firma. Free Booze & Tips: Unlimited wines and spirits, as well as gratuities, are included in the rates. Intriguing Itineraries: These smaller ships can get into the ports the big ships simply can’t visit. 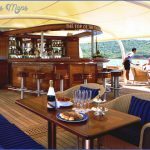 Raw Food Menu: If there’s a time to push the boundaries on what you like to eat, a cruise is it, and SeaDream gives you a great opportunity with its raw food menu. No Verandas: These older ships don’t have any private balconies. Less Stability: While the small size of these ships is a real selling point, it can also be a detriment to those prone to seasickness: These ships bob around in even mild swells. 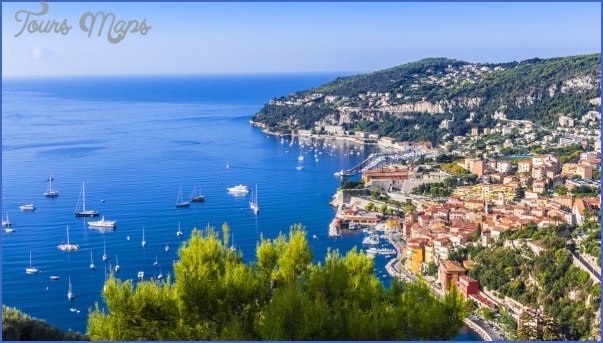 The focus of these cruises is on the ports, which are often less crowded than the larger ports the big ships call in. 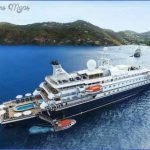 As for the onboard experience the 112-guest SeaDream I and SeaDream II have all the luxury but none of the formality of their peers. Snorkeling trips, market tours (with the chef), and late-night visits to island beach bars in the Caribbean. There are a few notable features on the ships themselves: The Balinese day beds on deck feel like a serious upgrade from plastic, or even teak, lounge chairs and we love the watersports platform that drops down from the stern of the ship and features nearly every sort of aquatic toy you could want. 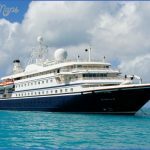 SeaDream focuses on the Mediterranean and the Caribbean primarily, mixing the standard ports with small islands and little towns (there’s a good chance you won’t recognize the names of all of your ports of call). 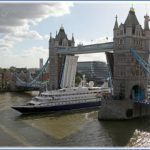 If you don’t mind spending a handful of days at sea, the line’s transatlantic crossings in the spring and fall are a great way to get on board without breaking the bank. Most of your fellow guests will be in their 40s and 50s, with a smattering of folks on either side of that equation. The vast majority are American, with Canadian, British, and European guests rounding out the numbers. 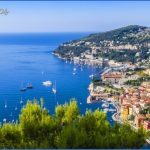 Well-travelled and well-educated, they tend to be active, adventurous and self-entertaining (they prefer having an adult beverage with newfound friends around the pool to the organized fun that’s the staple of so many cruises). 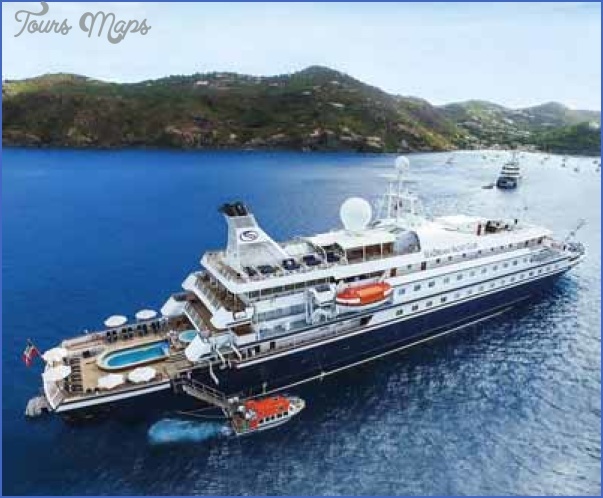 Some dates may not be available when you inquire because a decent portion of SeaDream’s business comes from charters of the entire boat, which are usually booked by large families and other groups. 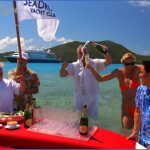 Dining is a high point of the SeaDream experience; it’s roughly on a par with Windstar’s cuisine, and just under Regent and Seabourn. Open seating in the main dining rooms of each ship is de rigueur, meaning you can choose you tablemates each evening, or sit alone. Tables for two, four, six and eight are available. 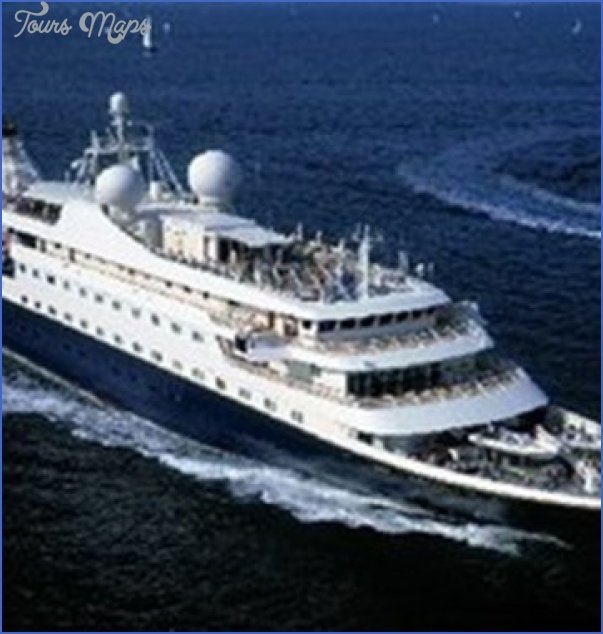 There are no formal evenings, though most male guests will, at the very least, don a collared shirt in the evenings, and a few put on sports jackets, while women opt for casual dresses to suit the warm regions SeaDream sails to. Food is prepared a la minute (made-to-order) rather than being pre-prepped as it is on mainstream ships. Dinners are typically five courses, and SeaDream makes a point of including locally sourced ingredients whenever possible. The line also offers a gluten-free menu, a Japanese menu, and a Raw Food menu, and will cater readily to dietary requirements provided you notify the line before sailing. For a more casual option, the Topside Restaurant on Deck 5 has both a buffet and made-to-order options for lunch and dinner. Room service is available around-the-clock, and you can still get caviar on board though it carries a small surcharge now. On board, there’s a pool and Jacuzzi, a small gym with a sauna and steam room (and no extra charge for their use), a small casino, and a library with an extensive collection of hardbacks. That said, it’s the water stern-mounted sports marina which has glass-bottom kayaks, Wave Runners, Hobie Cats, and banana boats that’s the most fun to use on a sea day. 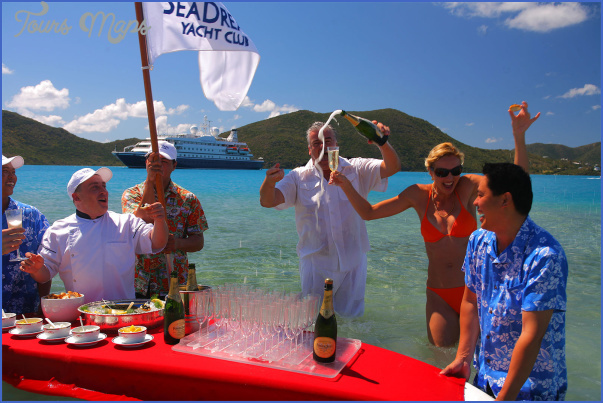 Another SeaDream staple is the line’s lavish Champagne and Caviar Splash beach barbecue, which is held on Jost Van Dyke and Virgin Gorda. 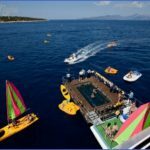 There are no dedicated children’s programs, kids’ rooms, or babysitting services on board, though children over the age of 1 are allowed on board (grudgingly). 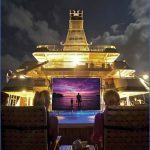 Evening are low key, and after dinner many couples meet for cocktails in the bars including a piano bar and one called Top of the Yacht or head up on deck, where movies are screened under the stars when the weather allows. 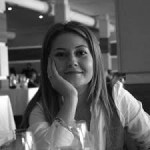 Service is never stuffy and manages to hit the mark of always being attentive. The crew-to-guest ratio is high, and it’s obvious that staff have enough time to make sure you’re taken care of on board. The line has two ships, the yacht-style SeaDream I and SeaDream II, which debuted as the original Sea Goddess twins back in the 1980’s. 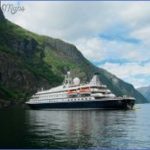 Extensively refitted over the intervening years, both ships carry a maximum of 112 guests and a crew of 95, for a staff-to-crew ratio of nearly 1 -to-1. SeaDream I – SeaDream II Two of the most unassuming luxury ships out there, SeaDream I and SeaDream II offers all the pampering and none of the pretensions of other luxury vessels. 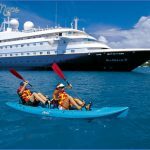 Whether you want to sleep under the stars or kayak off the stern-mounted-marina, these ships offer it all. 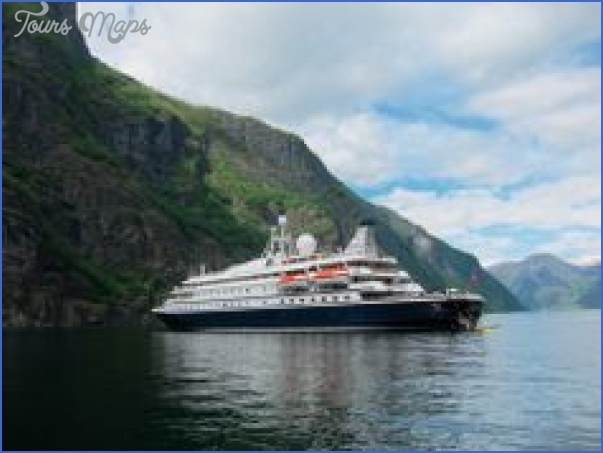 Originally debuting back in 1984 as Sea Goddess I and II, these two 112-guest luxury yachts were acquired from Cunard and later Seabourn back in 2002 when SeaDream was formed by industry vets Larry Pimentel and Atle Brynestad, the latter of which founded luxury competitor Seabourn. The line’s slogan, It’s yachting, not cruising applies perfectly to these nimble 355-foot-long ships. Deck space is generous, and public rooms are decorated with an old-world elegance. 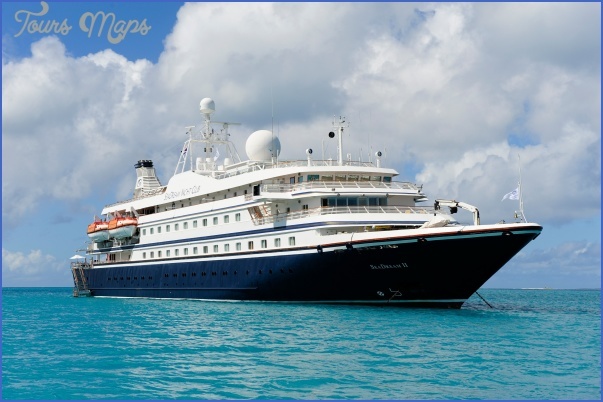 Successive refits have kept both ships looking smart, and SeaDream’s dedication to onboard cuisine and friendly, personable service has never wavered. Regent. None have balconies. Soundproofing between cabins is good and engine noise minimal, as all cabins are located forward and amidships. There are 16 staterooms that are connectable. Built in the mid-1980s, these ships have a lot more real wood incorporated into the cabins than you’ll see on today’s newer ships (those sport veneers and synthetics at every turn). Wood cabinetry and moldings are complemented by blue-and-white fabrics to create an appealing contemporary nautical look. A minifridge is stocked with sodas and beer (booze from any of the bars and restaurants is included in the rates, but oddly enough, if you want liquor for your minibar, you’ll have to pay for it). Bathrooms are compact, but feature huge marble showers, All guests are given a set of personalized cotton pajamas with the SeaDream logo to take home. The bigger Owner’s Suite has a bedroom, living room, dining area, main bathroom with bathtub and separate oceanview shower, and a guest bathroom Both ships also have a new Admiral Suite with a similar layout and amenities. 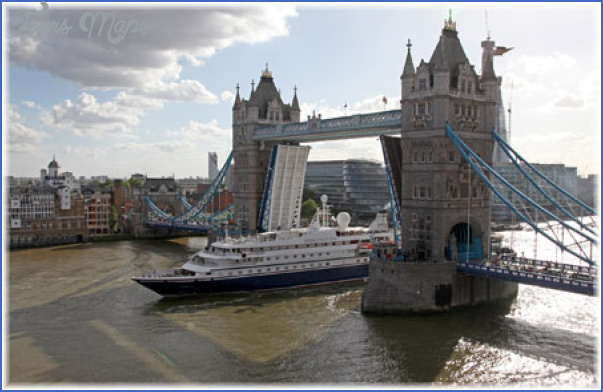 These ships are not recommended for passengers requiring the use of a wheelchair as the doorways aren’t wide enough, many thresholds are several inches high and the tenders that shuttle passengers from ship to shore can’t accommodate wheelchairs. 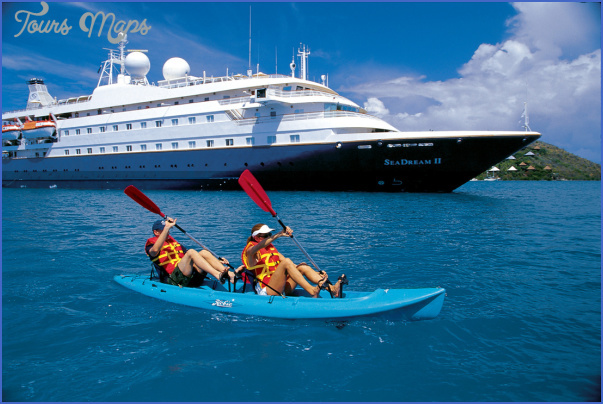 Public areas & activities The SeaDream yachts retain much of Sea Goddess ‘s former sophisticated decor stained wood floors, Oriental carpets, and striking exotic floral arrangements but with periodic face-lifts that keep carpeting and furniture spruced up. There’s a large collection of original artwork by exclusively Scandinavian artists, placed throughout the ship and commissioned or otherwise chosen by Linn Brynestad. The Main Salon and its small but popular alcove bar is the place for the weekly captain’s cocktail party, plus other group events. One deck above is the Piano Bar, the ship’s small casino, a gift shop, and an attractive and book-filled library. 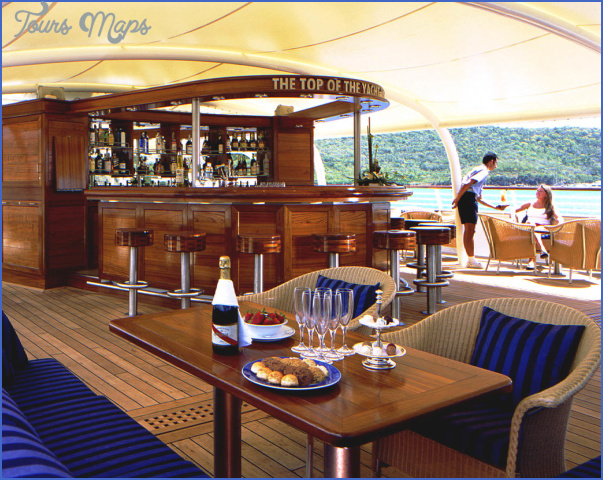 By far, the favorite place to socialize is the Top of the Yacht bar which is partially covered and has alcove seating. 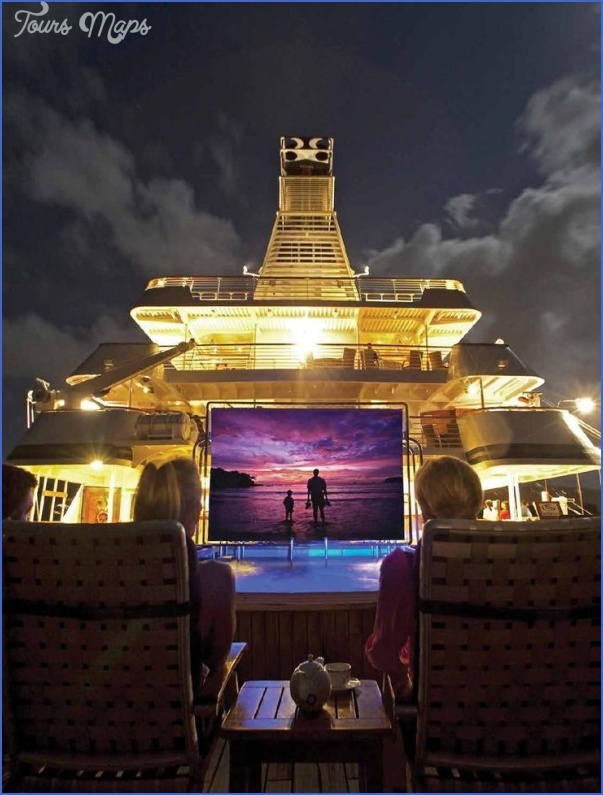 On this deck, you’ll also find a flotilla of queen-size sun beds; they’re slightly elevated at the stern of the ship to allow for uninterrupted ocean viewing. Management allows guests to sleep on deck at night if they wish, and will outfits these beds with blankets. The attractive pool area, has comfortable lounge chairs, a bar, and, not too far away, a hot tub. On Deck 4 are the beauty salon and an impressively well-designed and well-equipped spa (spice-and-yogurt scrub, anyone?) and gym. The latter has equipment and room for aerobics, yoga, and tai chi classes. Dining Dinners are served indoors in the simple but elegant Dining Salon. At least once during your voyage, a festive dinner is served in the open-sided, teak-floored Topside Restaurant, and some special meals are served on the beach during port calls. Unlike Silversea and Seabourn, the 24-hour room-service menu is limited to salads and sandwiches, and you can’t order from the restaurant menus.